Fans of Anime and Japanese Popular Culture will be able to catch their anime personalities in action as Anime Festival Asia brings its first satellite event, Anime Festival Asia Malaysia, to fans here. Anime Festival Asia is the region’s most established event that celebrates the best of Japanese anime and popular culture content. In 2011, it announced plans to hold satellite events overseas. Malaysia was one of the countries identified. 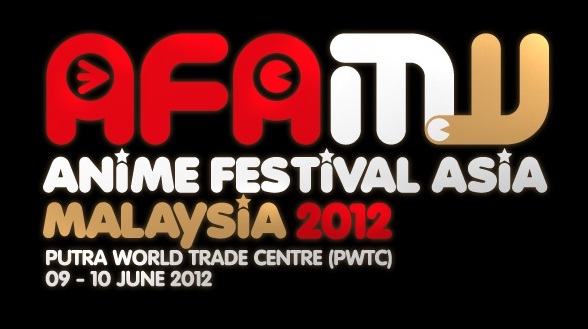 Anime Festival Asia (AFA) Malaysia will be held on June 9 & 10th June, 2012, at the Putra World Trade Center (PWTC), Kuala Lumpur. The inaugural festival will showcase Japan’s leading talents and a congregation of the latest Japanese animation and popular culture content, and a host of events such as the highly popular I Love Anisong concert, exclusive merchandises, cosplay, movie screenings and special appearance by industry celebrities. It will also be a platform for networking and to develop business opportunities. Now, you all know I am an anime/manga fan and I have always dreamt of attending the Annual AFA at Singapore, now my dream finally comes true as they will be having it in Malaysia for the first time! Got a little taste of it? 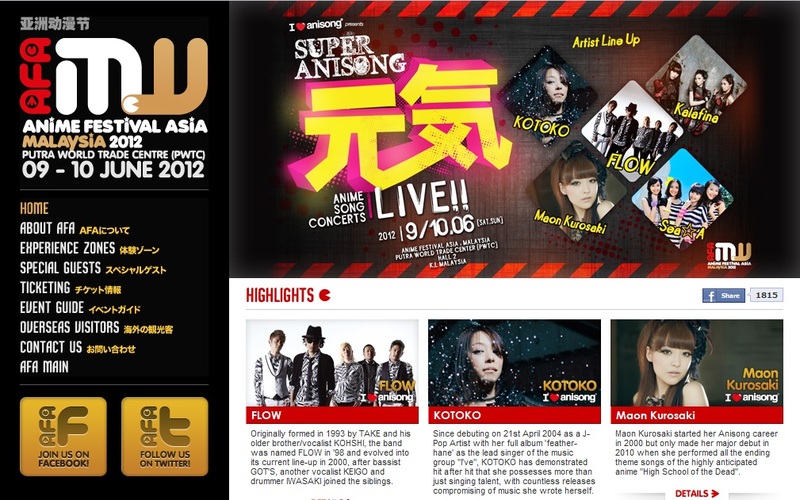 We shall move on to some of the Artist performing at AFA Malaysia 2012! Maon Kurosaki is most notable for her massive part in singing all songs in the Anime series High school of the Dead, the series had 11 ending songs. Here is a video of her singing live. The band that needs no introduction and the complete power house for AFA Malaysia 2012, Flow is set to spark and rock PWTC like never before. Certainly not a stranger if you are an anime junkie, Flow is has several albums out and notable for their songs in Naruto, Beelzebub, Ao no Exorcist, Code Geass, Persona Trinity Soul and Heroman. and also other things that you will see there! So if you are an anime/manga Junkie! You really have to get yourself ready. Here is the site and facebook page to keep yourself updated! so you're gonna dress up like Ultraman for the cosplay competition?